In the Rolling Mills and in Coils Treatment in iron, with filaments, aluminium and alloys you may need some Pickling or Superficial Treatment, and for this it is necessary to have brushing groups mounting Technical/Special Cylindrical Brushes suitable for this goal. 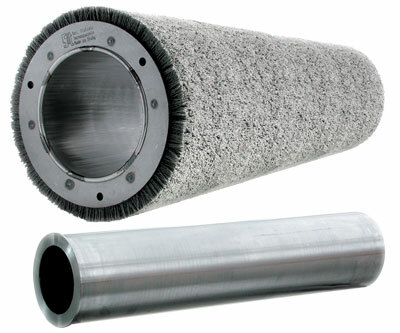 Technical Brushes for Rolling Mills and pickling can be mounted on cores a Tube empty or "filled" with hubs. Cores can be mono-use or reusable. 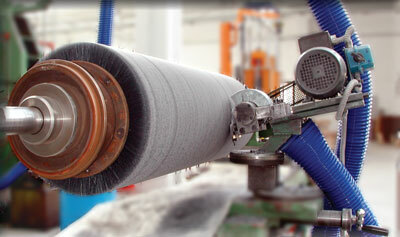 SIT Tecnospazzole offers to its customers the service of returning the brush worn out to reuse the core. 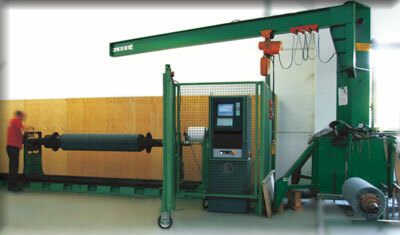 This way the customer has an economical saving and a lower environmental impact. 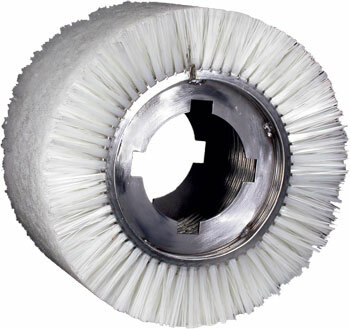 The interchangeable SIT Brushes for pickling and in general the large size ring or spiral brushes are mounted on the core with hubs e locking sleeves that allow for a rapid replacement of the brush. 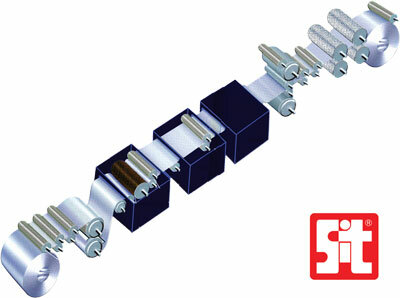 Every item is designed and built in accordance with the needs of mounting and processing of the customer. 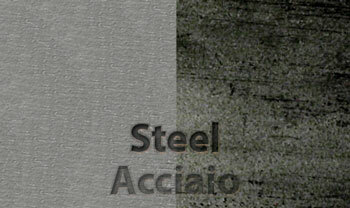 The surface treated can be of type ferrous (carbon and with filaments) and non ferrous (aluminium and special alloys). Depending on the type of finishing required, you may choose a filament with rectangular or elliptic or circular section. 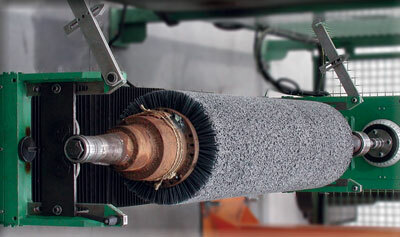 SIT in its production facilities can manufacture a wide range of Brushes for dimensions and type. 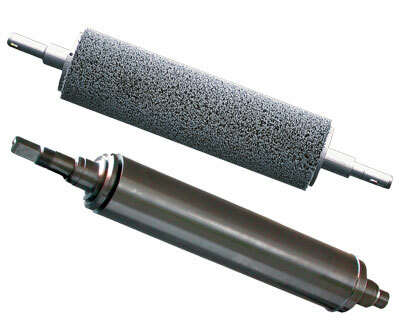 To satisfy the needs of the customer in addition the holes and the adapters of the cores of the brushes are manufactured by design on the specs of the system on which they are mounted. 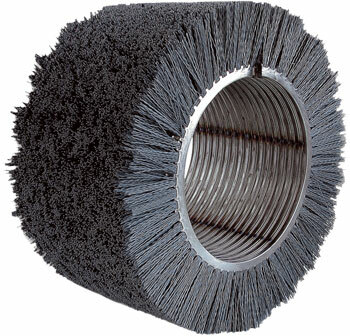 Brush in sponge and abrasive cloth for the pickling and the superficial finishing of the coils in metal ferrous an non-ferrous. 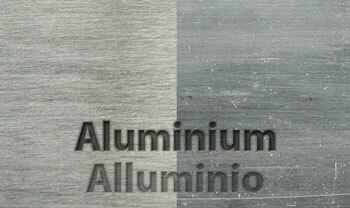 A special trimming allows to obtain a perfect cylindricity of the brush with reference to the rotation axis. 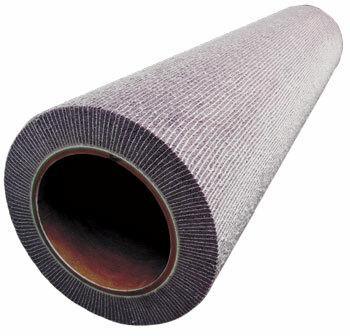 As a result all the surface of the brush works equally and uniformly on all the surface of processed sheet. 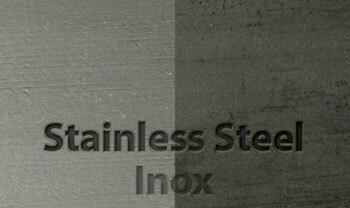 All the brushes are balanced dynamically ISO 1940 g. 6,3 and accompanied by the relative certificate.